Now its possible for your iPhone and Android to determine how hot your soup is? With thermal vision, given to phones with an addon which can be added to a smartphone mobile device, with simple lighting port or microUSB. This attachment or add on named as Seek Thermal can do this by just adding few extra imaging features to your handset. So, now you can have a thermal camera at your disposal, you can use it in your bathroom and even a kitchen or may be a restaurant where you can find out how hot is your soup. I don’t know why but this seems to be cooler than hotter to me. What do you say ? 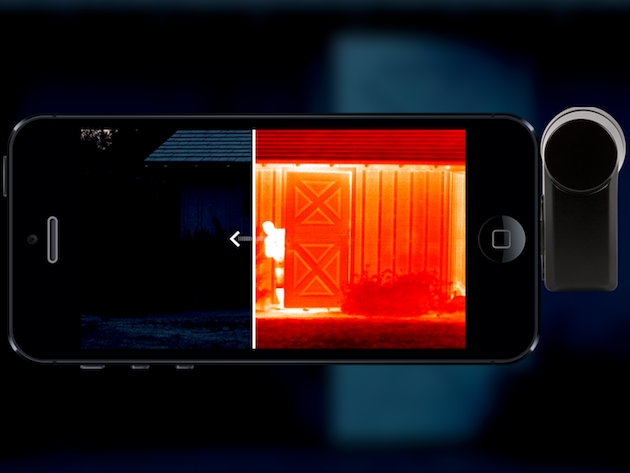 Would you like to have this $199 dollar attachment to your phone that can enable thermal imaging. Anyways Watch the video, below and write in your comments.